Katie Bakes mixes, which are beautifully packaged in authentic Kilners jars, make a perfect, unusual gift for children or adults and are suitable for all occasions including Birthdays, Christmas, hostess gifts, housewarming and Teacher gifts. 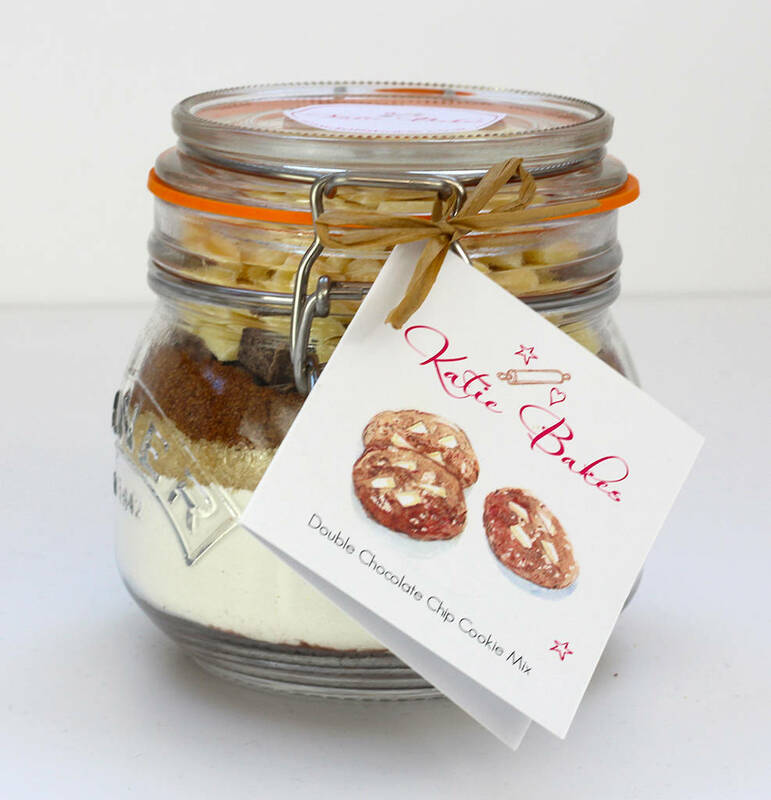 Our deliciously rich Belgian Double Chocolate Chip Cookie Mix is packed with white and dark chocolate chips and flavoured with cocoa. 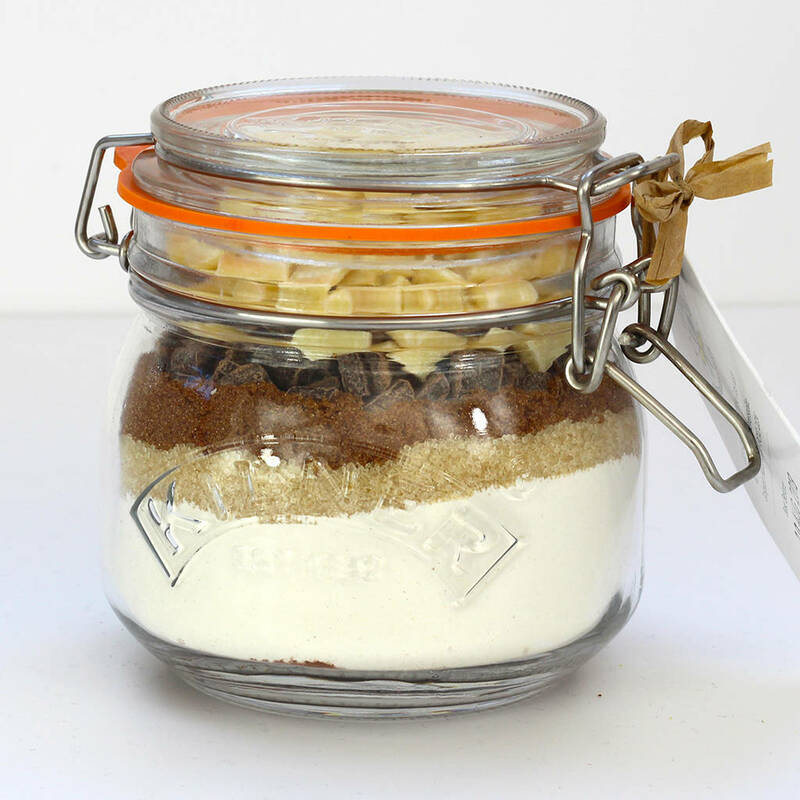 This foolproof mix (as tested by my non-baking Husband), just requires the addition of 85g melted butter and an egg to make approx 18-20 delicious Cookies. 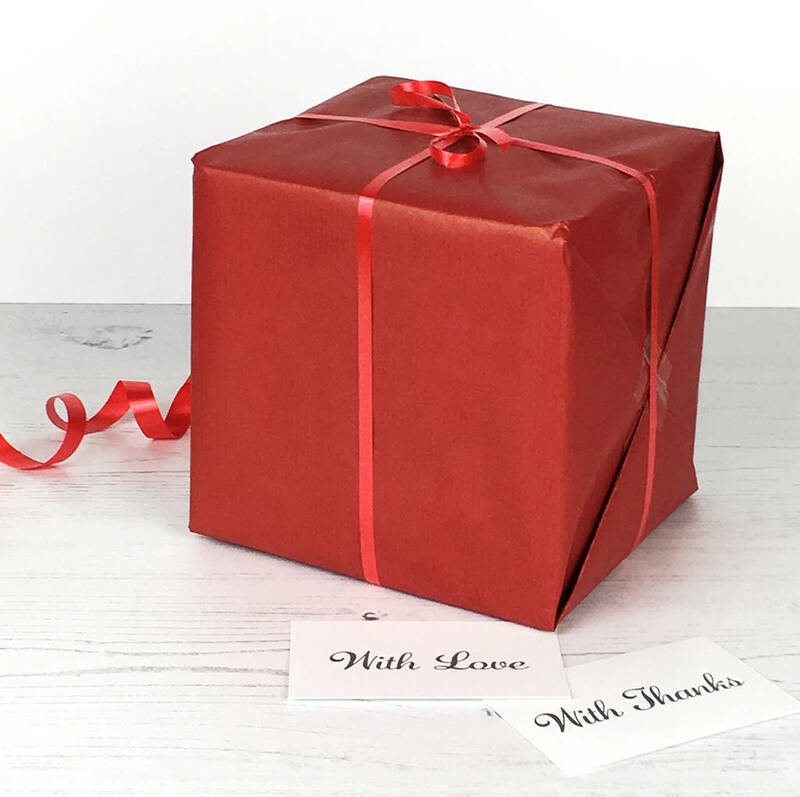 Why not select one of our free gift tags and add your own message. 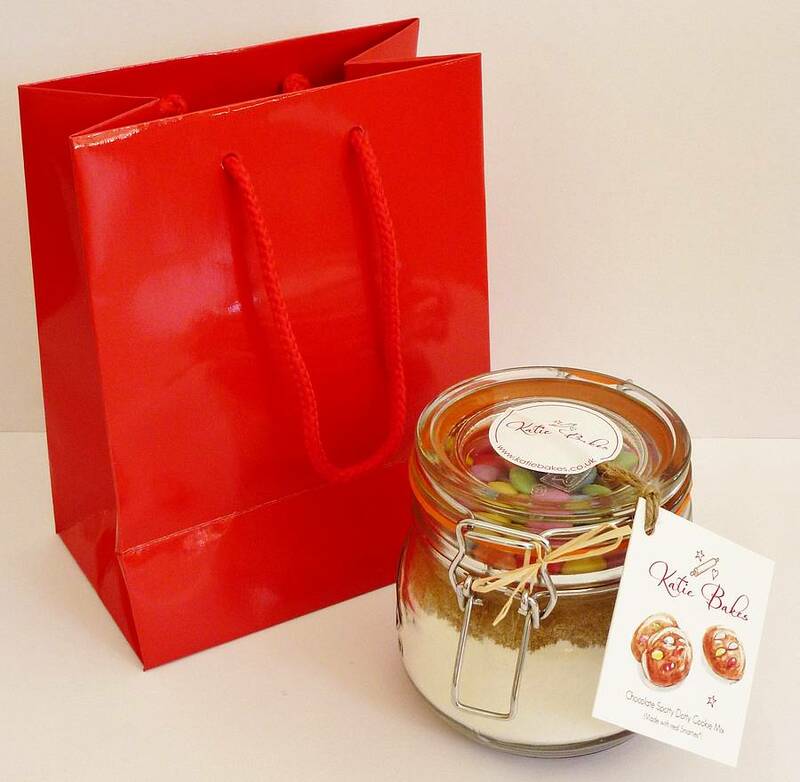 Alternatively we have red gift bags available which are the perfect size to fit the jar. Unfortunately we cannot post the jars in the bags and no gift tag option is available with the gift bag. 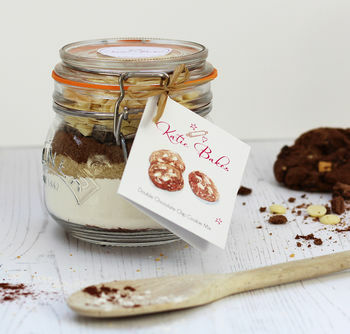 Ingredients: Flour, sugar, cocoa, dark Chocolate chunks, white chocolate chunks, bicarbonate of soda, salt.